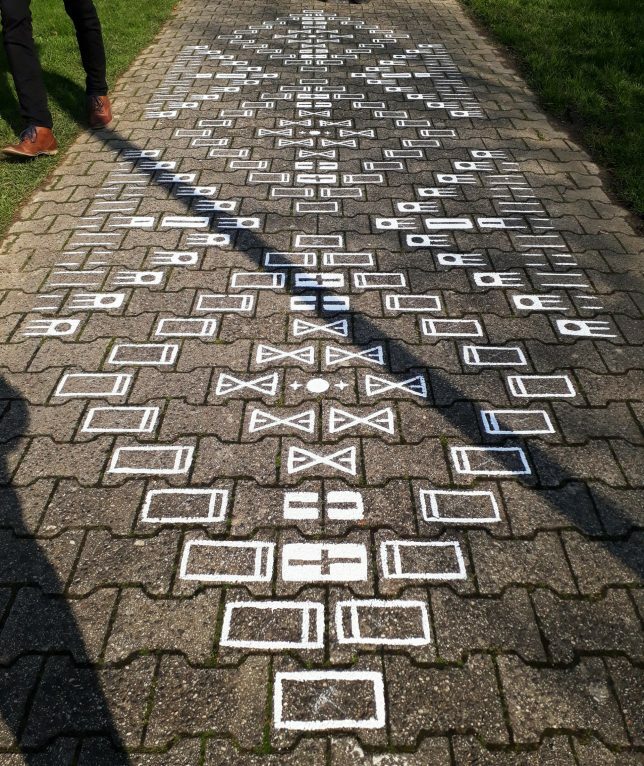 Painted patterns turn ordinary sidewalks and other urban surfaces into geometric artworks, creating a level of creative interaction as well as domestic intimacy in public spaces. 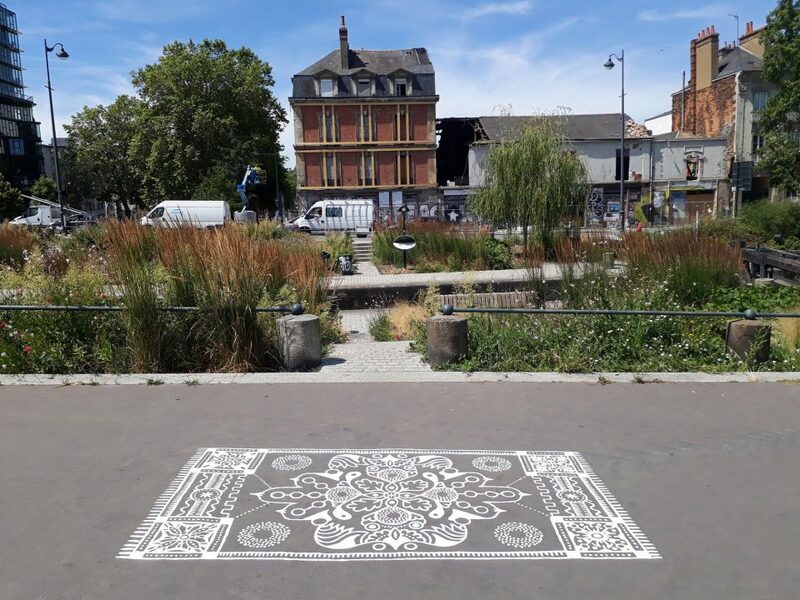 European artist Ali (Arthur-Louis Ignoré) takes cues from ancient decorative rug design traditions as well natural and geometric forms from other ornamental sources. 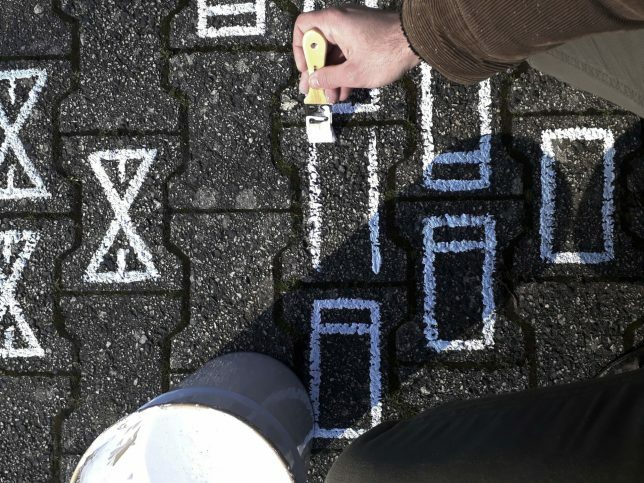 Using simple white-on-gray, the drawings themselves can be simple at times, or playful. 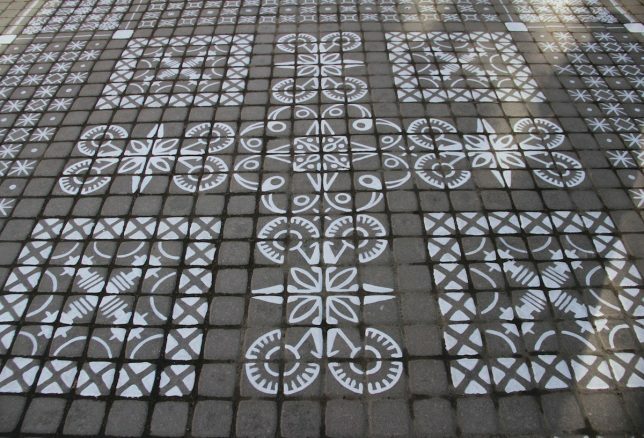 Their contrast with monotonous paving stones and asphalt brings dull areas to life with a bit of unconventional decor. 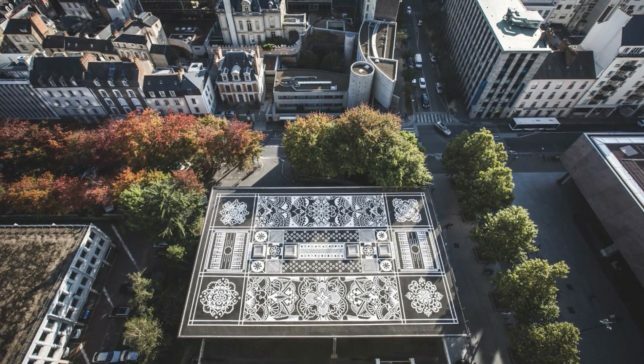 Some span entire alleys, streets or even rooftops, reaching up to 10,000 square feet in size, and spanning cities in France, Finland, Canada and the United States. 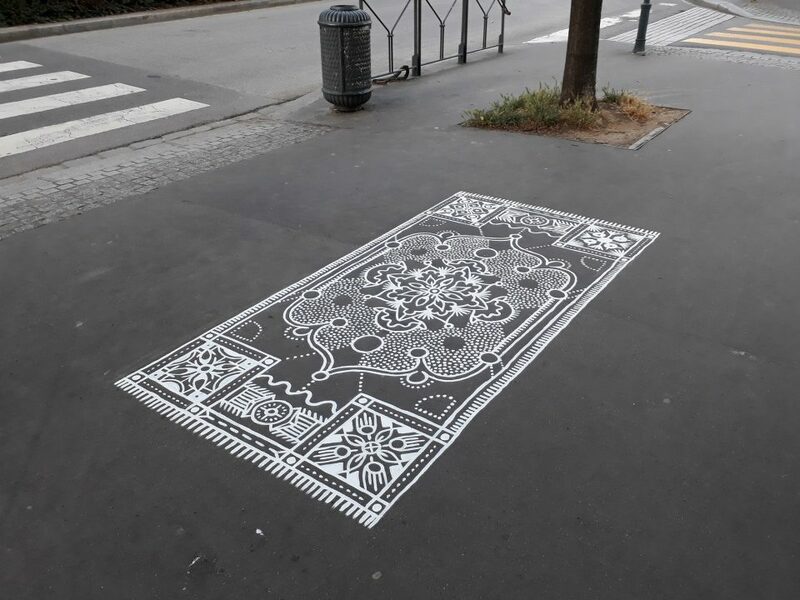 But while these larger works are impressive, there is something simple and subversive about sketching out, using simple lines and patterns, a little cozy place-making rug on a street for all to share.